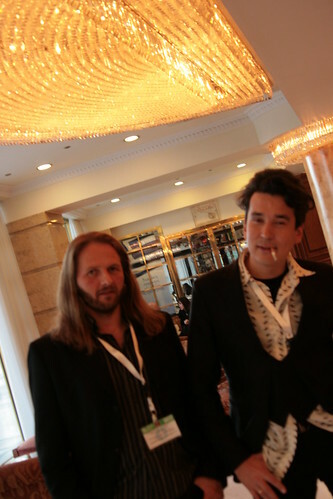 Originally posted on the blog, Brandon Harris and Scott Macaulay report from the Rotterdam International Film Festival. Feature film prizes were handed out on the second to last evening of the 38th annual International Film Festival Rotterdam tonight, following the announcements earlier in the week of the CineMart and Tiger Award for Short Film prizes. 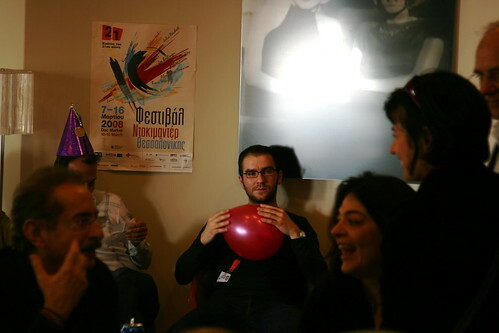 The festival's top prize, the VPRO Tiger Awards, for which 14 first or second time feature film directors competed, went to three films, as is the festival's custom. Be Calm and Count to Seven is supported by the Hubert Bals Fund. Each VPRO Tiger Award comes with a prize of Euro 15,000 and guaranteed broadcast by Dutch public television network VPRO. "The jury awards The Land for achieving in cinema what is impossible through any other art form by showing its subjects and the viewers how humanity remains unchanged with the passage of time." "The jury would like to commend the maker of Agrarian Utopia for his bravery, his folly and his determination in showing us his little piece of heaven." Agrarian Utopia is supported by the Hubert Bals Fund. The jury of the international association of film critics FIPRESCI (Fédération Internationale de la Presse Cinématographique), consisted of Leo Soesanto (France, ‘Les Inrockuptibles’, Jury Chair), Dana Linssen (Netherlands, ‘Filmkrant’), Maya McKechneay (Austria, ‘Blickpunkt:Film’), Firat Yücel (Turkey, ‘Altyazi’), Ashok Rane (India, ‘Sakal’). The FIPRESCI decided to award the International Critics’ Prize to Blind Pig Who Wants to Fly (Babi buta yang ingin terbang) by Edwin (Indonesia, 2008), selected for the the VPRO Tiger Awards Competition of the 2009 International Film Festival Rotterdam. "A brave film, fragmented in a way that each bit is very sharp as an edgy, personal and political statement. As critics, we were most challenged on many levels by this work which kept coming back again and again in our discussions as the song "I Just Called to Say I love You" did infectiously in the film". Blind Pig Who Wants to Fly (Babi buta yang ingin terbang), supported by the Hubert Bals Fund, was selected for CineMart 2008. The jury of the KNF, the Association of Dutch film critics, at the International Film Festival Rotterdam consisting of jury president Ronald Rovers (‘Filmkrant’, The Netherlands), Jann Ruyters (‘Trouw’, The Netherlands), Leo Bankersen (‘Filmkrant’, The Netherlands), Berend-Jan Bockting (‘VPRO Gids’, The Netherlands), and Sven Gerrets (‘Oor’, The Netherlands). 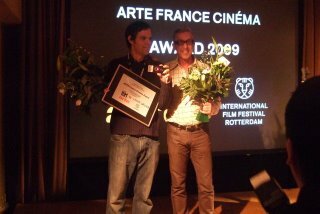 The KNF Jury has chosen its winner among films in Rotterdam 2009 official selection that have not yet been acquired for Dutch distribution. To the KNF Award, a grant is attached for subtitling the film, sponsored by Holland Subtitling. The Award of the KNF is meant to promote the acquisition for distribution within The Netherlands. The young director of this film dared to take one of cinema's most beloved icons to tell a grim and subversive story about the nature of dictatorship. He delivers his message with a beautiful deadpan expression in the form of a middle aged psychopath on his quest to become the leading John Travolta impersonator on a nineteen seventies tv-show, thereby providing a mirror for ruthless authoritarianism. Tony Manero is supported by the Hubert Bals Fund. The three Tiger Awards for Short Film were granted to A Necessary Music by Beatrice Gibson (UK), Despair (Otchajanie) by Galina Myznikova & Sergey Provorov (Russia) and Bernadette by Duncan Campbell (UK). The jury for Tiger Awards for Short Film comprised Malaysian writer and director Tan Chui Mui (her seven recent short films screen in the festival), Maria Pallier, buyer and programme maker for the Spanish broadcasting company TVE, and the British journalist, curator and artist George Clark. The Rotterdam young people’s jury, consisting of Ms. Charlotte Eskens (16), Ms. Katinka Nauta (17), Mr. Alain Tjiong (17), Mr. David Hofland (15) and Ms. Thecla Baas (18) chose the winner out of twenty films in official Rotterdam 2009 selection. The award comprises Dutch distribution within the MovieZone educational film programme for young people and 2,000 Euro to be spent on its promotion among young people in The Netherlands. The jury presented the MovieSquad Award to Slumdog Millionaire by Danny Boyle & Loveleen Tandan (United Kingdom, 2008). MovieSquad is an initiative of the Nederlands Instituut voor Filmeducatie (Dutch Institute for Film Education) in collaboration with the International Film Festival Rotterdam. 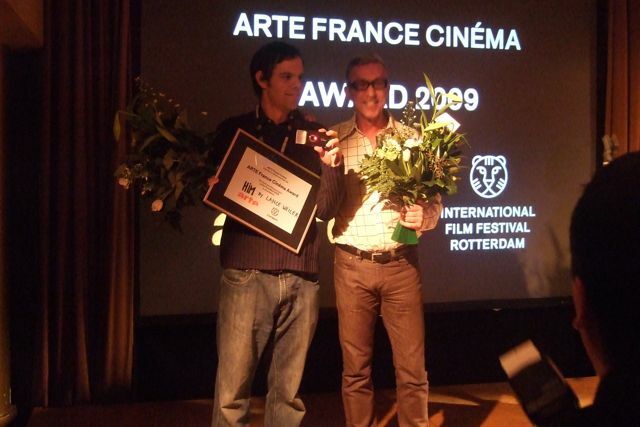 The Arte France Cinema Award (10,000 Euro) for the best CineMart 2009 Projects was given given to Him by Lance Weiler, a production of Seize The Media (USA). 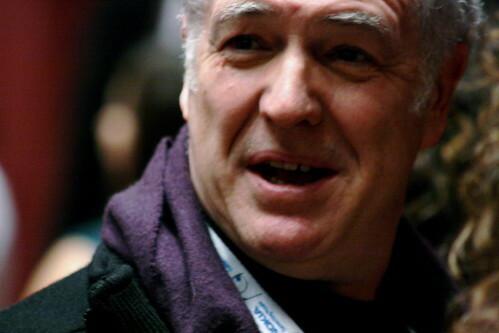 The Arte France Cinema Awards Jury 2008 consisted of Michel Reilhac (France, General Manager Arte France Cinéma). The Arte France Cinéma Awards are in cash, given to the producers towards financing the development of the awarded projects. By introducing the Award, Arte France Cinéma and CineMart aim to further support and promote the development and production of independent filmmaking. The ninth Prince Claus Fund Film Grant of 15,000 Euro has been awarded to the CineMart 2009 Project Birdie (Shuvuukhai) by Byamba Sakhya (Mongolia). 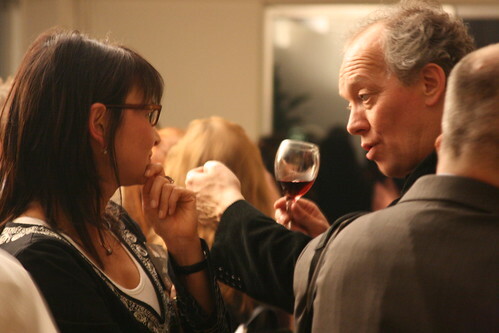 The Grant was announced during the CineMart Closing Night Party on January 28, 2009. The Jury of the 2009 Prince Claus Fund Film Grant consisted of: jury chair Karim Traïdia (Algeria / Netherlands), filmmaker and a member of the Prince Claus Fund Board and jury members Harutyun Khachatryan (Armenia), filmmaker and Prince Claus Laureate 2007; Alicia Scherson (Chile), filmmaker; Monique Hendrickx (Netherlands), actress; and René Mioch (Netherlands), film critic and producer. Congratulations to filmmaker, new media creator, and Filmmaker contributor Lance Weiler, who was awarded the Arte France Cinrma prize here at this year's Rotterdam Cinemart. 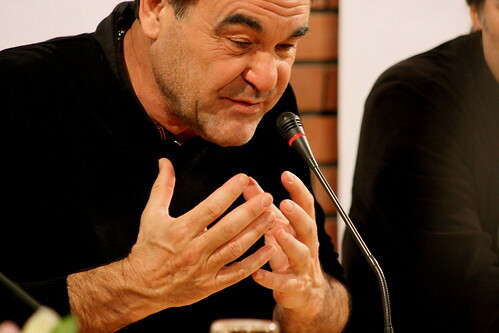 In his remarks when presenting the award, Arte's Michel Reilhac said that the award acknowledged the visionary nature of Weiler's project and noted that it speaks towards the type of new thinking about audience and platforms that will be necessary if our world of specialty cinema is to survive in the coming years. HIM is my newest cross-media poject -- a collision of film, gaming and interactive technology that continues with my horror 2.0 series, placing the viewer literally in the shoes of the protagonist. This is a new type of social entertainment experience that fuses storytelling and gaming in a way that enables audience members to become collaborators within the story world. The award winners of the 2009 Sundance Film Festival were announced this evening and Lee Daniels's Push: Based on a novel by Sapphire was the big winning as it took not only the Dramatic Grand Jury prize but also the Audience Award and Special Jury prize for actress Mo’Nique. 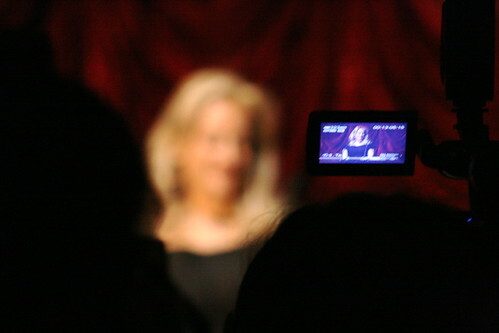 Ondi Timoner's We Live In Public was awarded the top Documentary prize. The full list of winners are below. To read our complete Park City coverage click here. Closing its 15th year, the Slamdance Film Festival announced the winners of its 2009 edition Friday night with Mo Perkins's A Quiet Little Marriage winning the Best Narrative Feature Award. The full list of winner are below. The online audience award voted on by IndieRoad.net viewers. To get the latest news on this year's Sundance Film Festival, go to our Sundance page which will be updated daily. Yung Chang, Canadian director of Up the Yangtze, became one of the year's most noted. 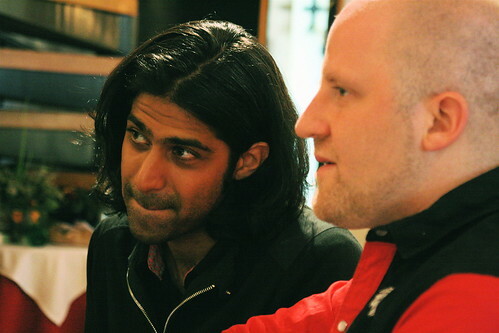 He compares programs with Icelandic journalist-filmmaker Hanna Björk Valsdóttir. 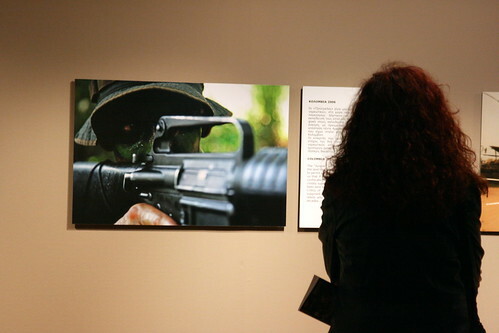 Sotiris Danezis' images of reflection on the battlefields of a world at war are bold. 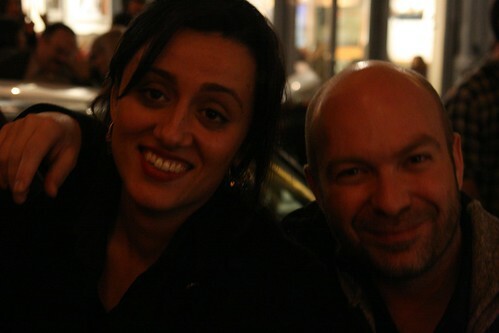 Tanaz Eshaghian presented her documentary about transsexuals in Iran, Be Like Others; Simon Brook is the director of the 1968-year-zero collage film, Generations 68. 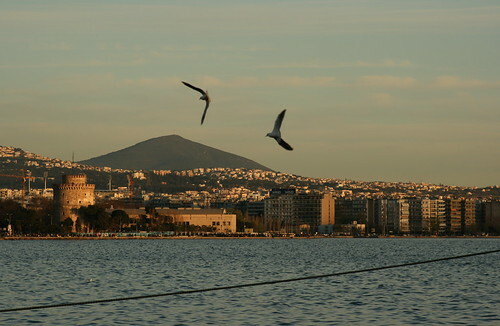 At dusk along the waterfront of the city, across Thermaikos Bay,a pair of gulls are less than/more than landscape. 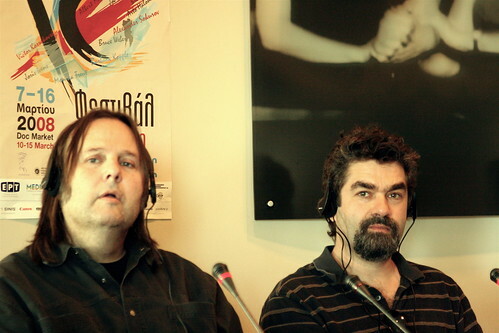 Sinofsky and Berlinger await translation of a question at their press conference. Bergsteinn Bjorgulfsson photographs many of the features released in Iceland each year; he and Ari Alexander Ergis Magnusson (Screaming Masterpieces) co-directed the harrowing documentary about 1950s-1960s child abuse at a school for boys in a remote part of Iceland, At the Edge of the World. Parties small are large are part of the scene, as in the fall. 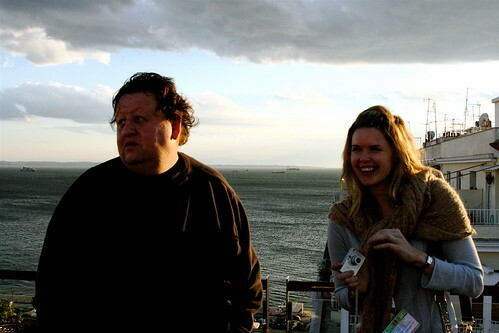 Canadian filmmakers Peter Wintonick and Tiffany Burns at breezy sunset on the rooftop restaurant of the Elektra Palace Hotel. Hussain Currimbhoy, programmer of Sheffield Doc/Fest, with Sandi DuBowski, producer of A Jihad For Love, at the annual Agora restaurant "ouzo lunch." Knowing the central city a bit allowed me to guide filmmakers post-party from the anarchist bicycle messenger bar that was unaccountably shuttered at 3 in the morning to the all-night Stoa music bar in the middle of the 1920s-built Modiano Market. 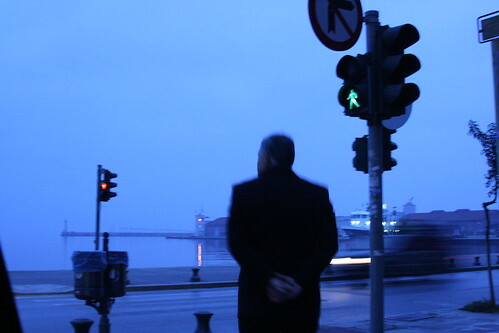 Later, just as dawn is breaking, a man takes his morning walk near the water, komboloi (worry beads) behind his back. 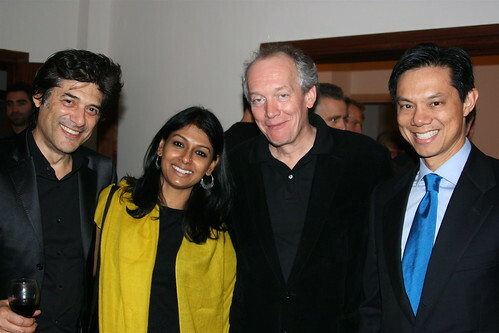 ...joined shortly after by festival president Georges Corraface and actress Nandita Das, presenting her directorial debut, Firaaq, with U. S. Consul General Hoyt Brian Yee. Geoff Andrew, former Time Out film editor and National Film Theatre programmer, on closing night before accepting an award on behalf of the his friend Terence Davies. 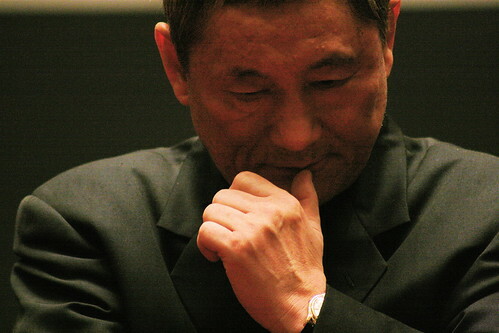 Takeshi Kitano listens for the translation of an impertinent challenge to his premiere of Achilles and the Tortoise. Diablo Cody is amused by a monologuing manifesto by a fellow member of the jury. 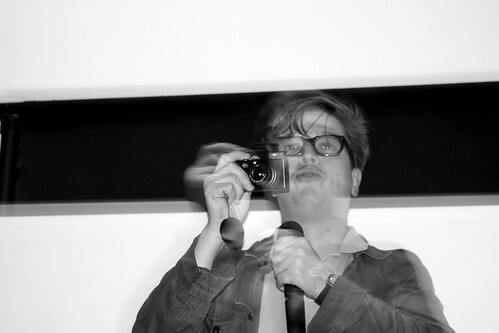 With his pocket Leica, director Tomas Alfredson takes the audience home with him to his collaborators on Let The Right One In. As in English, I think the Greek word for "paparazzi" is "paparazzi"; one of the many photographers frames a shot of Festival Director Despina Mouzaki. Talking about his forthcoming documentary-in-the-making about Latin American politics, Oliver Stone is hands-on. Early bird deadline for the 2009 CineVegas Film Festival is next Thursday (Jan. 15). Final deadline: March 1. Learn how to submit your film here. 1130am Willem Dafoe masterclass; 1300 Richard Jobson's "digital is the new punk"; 1500 Theo Angelopoulos press conference; 1600 Just Talking panel, Azazel Jacobs, Gerardo Naranjo, the Zellner brothers, Mimi Brody, me; 1800 Michael Ondaatje reading; 1930 Gustavo Santaololla tribute; 2000 Claire Denis' 35 Rhums; 2300 Greek Film party. A festival in motion... My overview coverage is in the January issue of Filmmaker; here's a few glimpses via video. This year's sustained blowout ran November 14-23; here's their site. At the Just Talking panel, a wine-and-cheese break each afternoon at 4pm, Aza Jacobs talks about how he's come to the end of a year of going 'round the world with Momma's Man, since its Sundance premiere in January; old friend and collaborator Gerardo Naranjo, director of the terrific Voy A Explotar (I'm Gonna Explode), chimes in. Emir Kusturica was scheduled to do a masterclass, but it was cancelled after the hours-long concert he and his No Smoking Band performed at a warehouse on the pier where much of the festival takes place. This is from one of the several encores, when a member of the enthused young citizens of Macedonia-Thrace turns the moment into "moshedonia." Along with eclectic rosters of guests, the juries are diverse as well. The jury head was former filmmaker-novelist Michael Ondaatje ("The English Patient") and the members included screenwriter Diablo Cody. At Cody's masterclass, where she encouraged the eager young Greek audience to simply find their own voice, Ondaatje has a question of his own. After a late night, headed at the last minute to the pier for the Willem Dafoe conversation, I paused to watch the choppy midday sea, more Angelopoulos than even Angelopoulos would dare it to be. Festival president Georges Corraface snuck up behind me and murmured, "It's alive...."